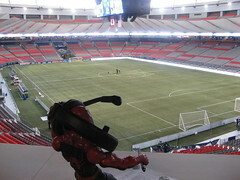 Maybe you're an ok person in real life, but I probably wouldn't like you then either. 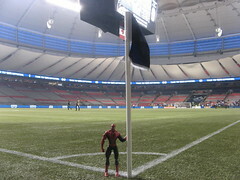 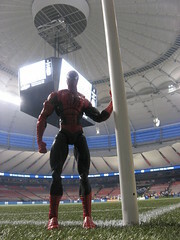 In light of the Vancouver Whitecaps being knocked out of the playoffs by the LA Galaxy last night (due in part to crappy officiating by the name mentioned above...as well as some sloppy midfield playing), here is Spider-Man at BC Place at a Whitecaps game, again. 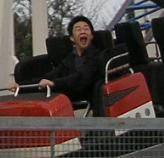 i could've slapepd him when i had the chance!